Little Big Adventure had won gamers’ hearts with its charming, open-ended fantasy world. Fans didn’t have to wait too long for a sequel to hit store shelves. 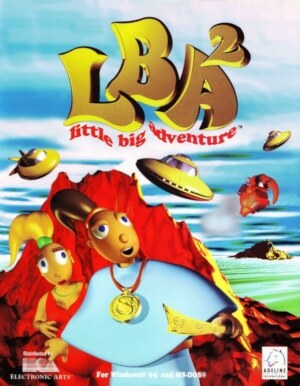 In May 1997, Little Big Adventure 2 was released and even better received than the first game. Gamers hoping for a title that was bigger and better still than Little Big Adventure were duly rewarded. Little Big Adventure 2’s world was significantly larger than that of its predecessor and even included multiple planets. Philippe Vachey’s score for Little Big Adventure had turned out to be a milestone of Western orchestral game music. If there were any complaints, it would have been that the soundtrack was rather short. The larger scope of Little Big Adventure 2’s world would suggest that a more extensive soundtrack was the logical result. 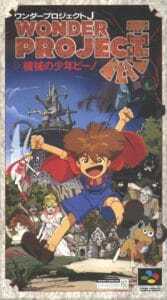 However, the Little Big Adventure 2 score is even a smidgen shorter than its predecessor. Mind you, it’s not a substantial issue – Vachey’s writing is at least as strong as it was on Little Big Adventure. The Star Trek: Starfleet Academy soundtrack is a prime example for how – and why – the conventions of Hollywood film music have been so deeply ingrained in orchestral game music right from the start. Star Trek: Starfleet Academy was part of the short-lived craze surrounding games based on full-motion videos in the mid-1990s. And if your game looks like a film, it makes sense to also make it sound like a film. And so, developer Interplay decided to use a live orchestra to record Starfleet Academy‘s soundtrack. In 1997, this was quite a novelty. Still, a live orchestra was integral to capturing the Star Trek franchise’s trademark romantic spirit of bold spacefaring. Interplay even went one step further and hired Ron Jones to write the Star Trek: Starfleet Academy soundtrack. Jones had done outstanding work on Star Trek: The Next Generation and would be able to maintain the Star Trek franchise’s characteristic sound. Nathan McCree‘s body of work is the textbook example of one particular work overshadowing a game composer’s other accomplishments. Of course, we are talking about Tomb Raider and its many sequels, two of which McCree scored himself. Outside of some highlights, these scores don’t play too well outside of the games they accompany, and there are arguably more rewarding works in McCree’s discography. After all, his output ranges from Star Wars homage Soulstar to the creeping menace of Skeleton Krew‘s synth textures. As with so much other early Western game music, an album release was never on the cards for these titles. Thankfully, once more a mid-90s French game magazine came to the rescue, with one of those promotional CD releases that accompanied many of these publications (see also: Formula 1, Rapid Racer). The particular album in question holds – among other works – the majority of McCree’s work for Swagman. That game is a mostly forgotten action adventure title from Tomb Raider‘s Core Design. 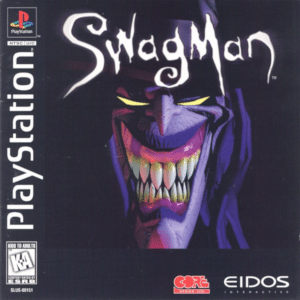 Reviews were middling and so it’s understandable that Swagman wouldn’t be on the radar of many game music fans. As it turns out though, the game contains what might well be the best score of McCree’s career. There’s no doubt that real-time strategy games peaked in popularity during the second half of the 1990s. 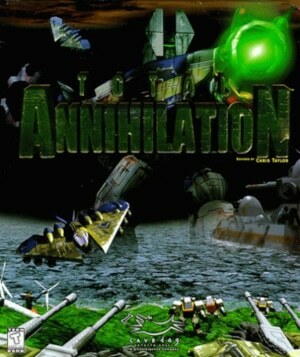 Their commercial success was kickstarted by the hugely popular Command & Conquer and Warcraft II: Tides of Darkness. For a few years, RTS games were all the rage (not that the genre is dead now). As a result, a glut of similarly-themed products soon hit the shelves. Differentiation – either by quality, innovation or style – became paramount for more ambitious developers. Total Annihilation was the lucky case of differentiation through all those three markers. It didn’t rewrite the rule book, but made many tweaks that updated genre conventions in smart ways. And while its look wasn’t too different from the hordes of Command & Conquer clones, its music easily stood out. For that, gamers could thank Jeremy Soule, who back in 1997 wasn’t yet the star composer he is now. To set the game apart, Soule proposed a live orchestral soundtrack – nearly unheard of in 1997.